What is a Specific Loss Work Injury? You may be able to receive specific loss benefits. If you have experienced one of these injuries, it is probably one of the most devastating things to ever happen in your life. You may not be able to do your job anymore which leads to questions such as how am I supposed to live? How can I support my family without being able to work? Because of this, there is workers’ compensation, and specific loss payments. Some specific loss injuries, such as an injury to fingers and toes, may not have caused you to miss any time from work or miss any wages. Because of this, many people who could receive specific loss benefits never realize that they could. When they think of missing work and missing out on their wages, and they know they can keep working even though they were injured, they will keep working and will not ask any questions. How Does a Specific Loss Payment Work? Specific loss payments in Pennsylvania are paid out to the injured worker under the condition that you lost a body part or lost the ability to use the body part in question. The amount is based upon the body part that was lost or damaged and how much time you will miss from work due to the injury. 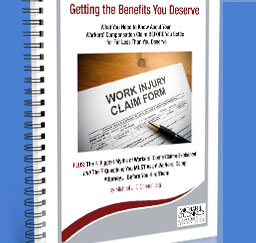 If you did not or will not miss any time from work due to the injury, you can still receive specific loss benefits. Here is a list of the body parts, and how many weeks’ worth of compensation the payment will be equal to, followed by the healing period in which you will receive weekly checks while you heal. Why Should You Consult With a Workers’ Compensation Attorney Before Accepting a Specific Loss Payment? Specific loss payments can be a significant payment for an employer’s insurance company to pay out. Because of this they will have attorneys who will fight to give you as little as they possibly can, or even try to deny your claim. You should have someone on your side who knows the law and has dealt with insurance companies and their attorneys and who can present your case in the proper light to make sure that you get what you deserve. Losing a body part can have long term effects on other parts of your life. If you can no longer do your job due to the injury, or if you face psychological difficulties from the event such as depression, you will need an attorney to fight for you so that you can focus on getting your life back on track. Our attorneys are experienced in dealing with these cases. They will stop the insurance company and anyone else involved in the case from bothering you by taking care of the communication between you and the opposing parties so you can focus on recovering. With two certified workers’ compensation specialists on staff, and over 25 years of successfully handling cases similar to this, you have come to the right place. Let us fight for your rights.